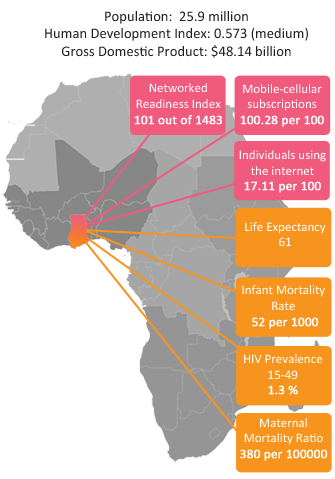 Ranking 102 of 139 in terms of networked readiness, Ghana faces a number of eHealth challenges including a shortage of skills, high ICT costs and poor infrastructure. However, uptake of mobile phones in Ghana is very high, and there is enormous potential for mHealth to help extend health information and services to the almost 50% of people living in rural areas in Ghana. 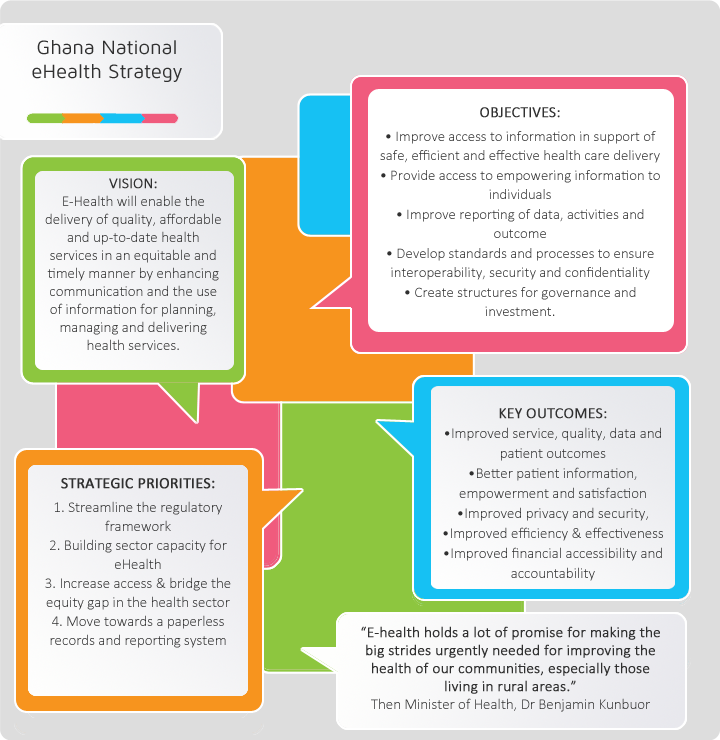 A recent review of eHealth projects in Ghana found 22 separate initiatives most of which are donor funded. Text Me! Flash Me! Call me!